Are you looking for a super fun toy for your older children? Are you looking for a fun toy that your older kids will have a lot of fun with together? Well, get the kids laser tag set with machine beetle toy blasters w/ multiplayer mode, found here for just $29.99 right now! 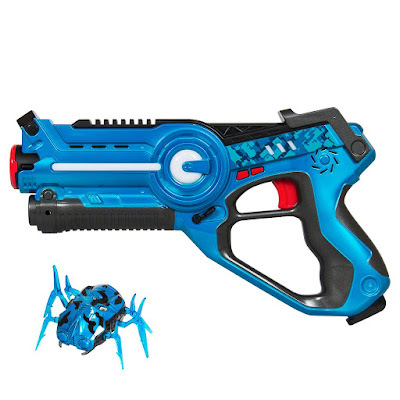 Our older two children love playing with laser tag guns that they received from Best Choice Products and this is a fun one to add to the set they already had! They have fun with these laser tag sets. These take four AA batteries, in the laser tag guns. These are made well for ages 8 and up, for kids. Our older two are 8 and 9 years old and they have a blast. This particular laser tag comes with a machine beetle toy blaster with multi-player mode.